Finally at 10am, we were on-board the 1st trip of a 4x4 jeepney to Alamada. This Asik-asik tour was all courtesy of our dear friend and her family for the invite, the accommodation, the food and the warm reception. I was curious why the jeepney resembled the earlier Mt. Banahaw or Mt. 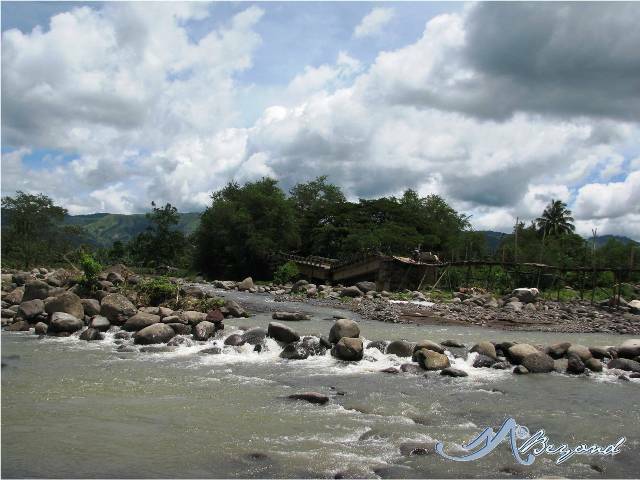 Pulag 4-wheel rides until we crossed a river, yes a jeepney crossing a 200-250 meter-wide river because the bridge connecting Barangay Dado and the other Barangays to the town proper of Alamada was still under reconstruction or rehabilitation. After a 3-hour paved to horsey ride, we reached Brgy. 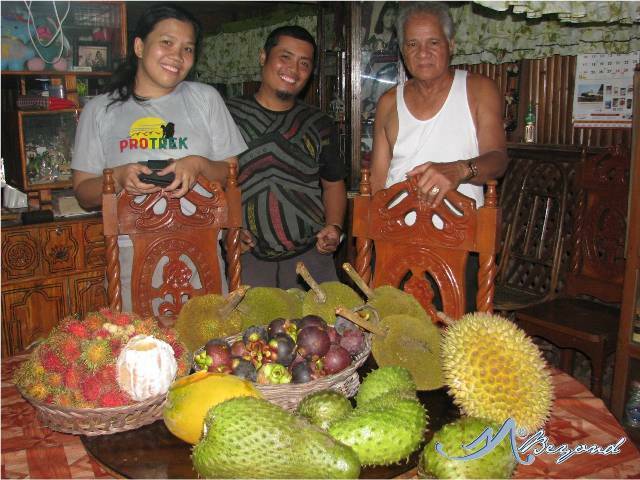 Dado and was greeted by a basket of fruits composed of lansones, rambutan, guyabano and durian… Wow... what more can I ask… It was Filipino hospitality at its best. After our late lunch and with the impending downpour, off we hopped on our individual habal-habal ride. We passed by first at the registration area by the market street and what seemed to be a “far-away” place was filled with people engaged in buying/selling their respective goods… It was Saturday then and barter/market day where farmers and residents of farther barangays flocked together to buy/sell their farm produce and other goods. 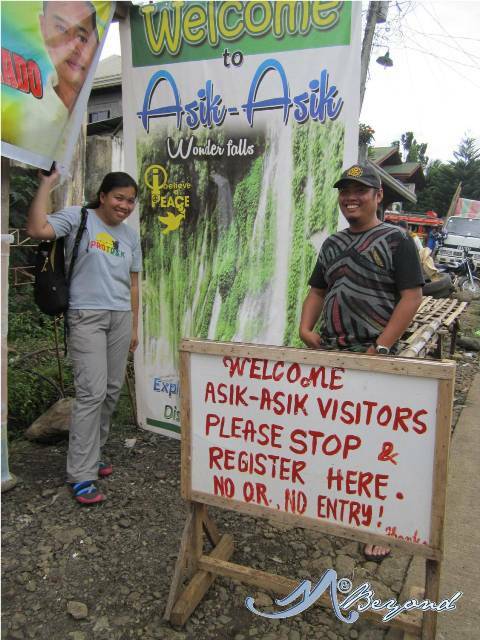 It was past 2:20pm when we reached the jump-off to Asik-Asik Falls. I was puzzled as to where the falls was situated because the region resembled a flat terrain with no major river at sight until we started our trek and descent via the 300+ steps of concrete stairway. 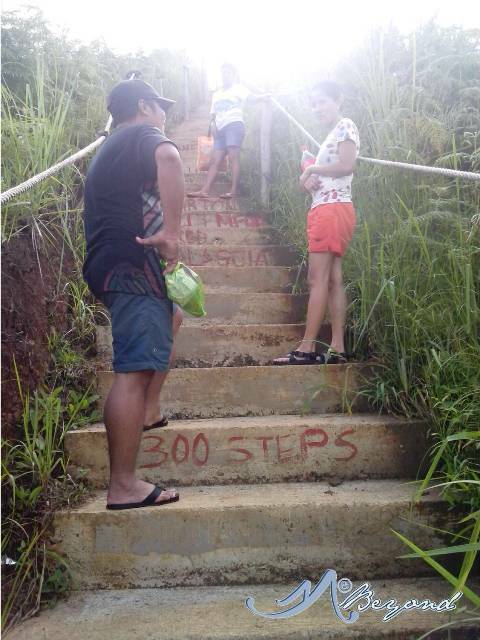 Well, the stairway is the best and safest way to reach the falls. According to our host-friend, they used to crawl in the muddy slippery trail just to reach the falls which was discovered by accident only in Year 2010. 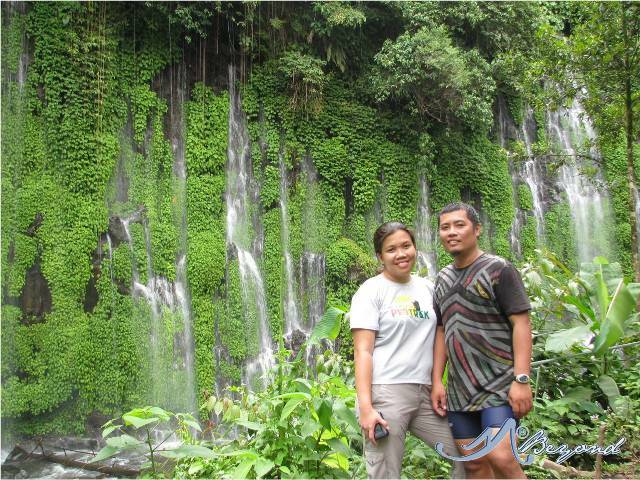 Shortly after 15 minutes of downhill trek, the beautiful Asik-Asik Waterfalls hailed before us… I was astonished and mystified by the nature before me. There was no river or stream above that causes a waterfall. All I saw are waters sprouting and sprinkling from the cliff through its green bushes and the source remained a mystery for me. 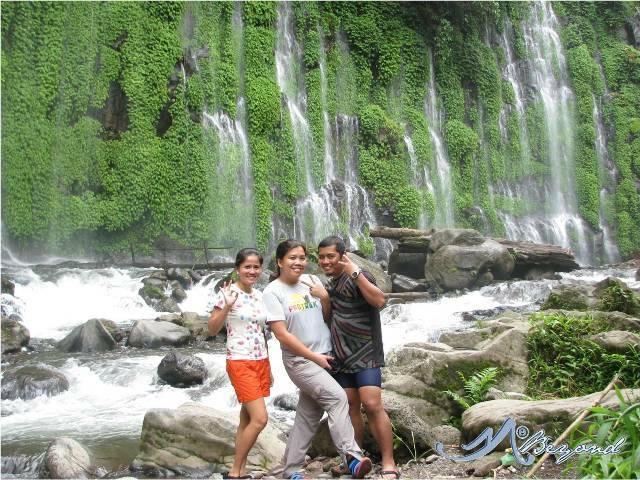 Asik-Asik Waterfalls was officially opened to the general public on September of 2012 and since then, it has been the pride of Alamada in North Cotabato. 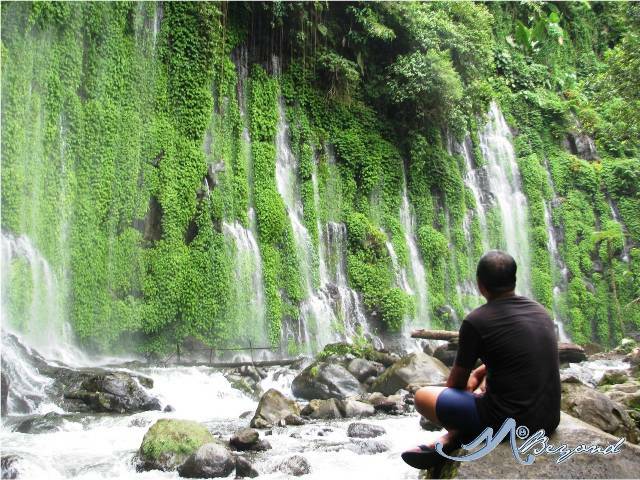 The curtain-like waterfalls of different height and width of maybe beyond 200-meters was definitely a hidden paradise. 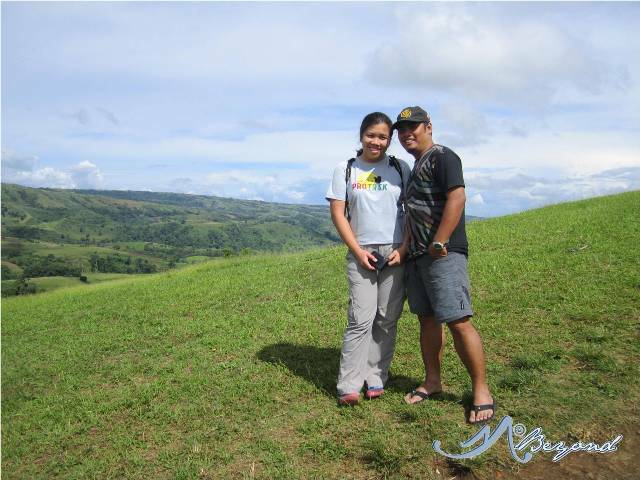 The backbreaking travel from monster jeep to the jaw-dropping habal habal ride was all worth it.. so worth it. 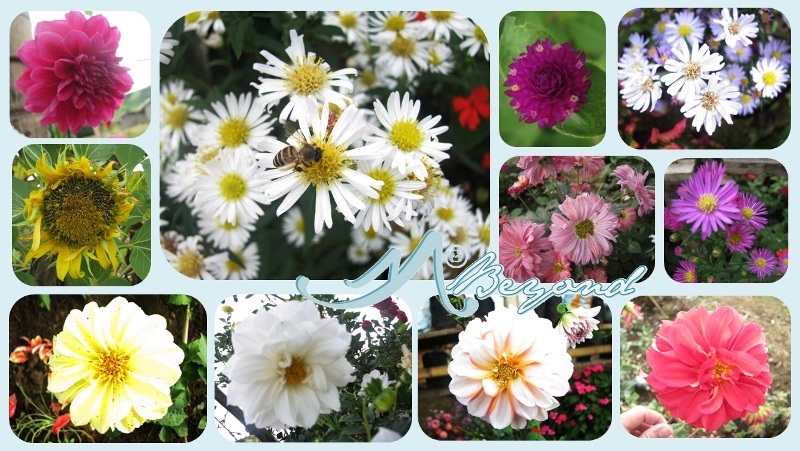 We left Asik-Asik at 345pm but before the final half kilometre trek to the jump-off area, I halted to take pictures of the beautiful flowers surrounding a hut. The last time I was mesmerized this much by flowers laid openly was during my South Korea trip and the unexpected sight of this beauty was something I cannot forego. It was already 530pm when we returned to our friend’s house. I thought that was all for the day but as soon as we entered the house, we we’re offered not just a basket but a table-full of fruits. I can’t believe I devilishly savored 11 kind of fruits all in one day… Hahahaha..
u should have come when there's no cemented stairway :) and d road from upper dado to d jump off area is not that good that u have to walked/trek/climb all d way from upper dado to d falls and to upper dado again... yeah asik2x is really amazing... been here twice, when it was newly discovered and after d provincial tourism made improvements there..
wow.. for sure it was an adventure beyond compare..
may i ask for the contact number of Hotel Angelo in Midsayap? and where to ride the jeepney for Alamada? thank you..
Do u know if we can rent a 4x4 up to upper dado?